This week’s Secret Ingredient for Friday Foodie Fix is Pecans! I am a big fan of nuts, after all I am one. Pecans are a good source of protein, unsaturated fat and omega-6 fatty acids. Pecans contain more than 19 vitamins and minerals – including vitamin A, vitamin E, folic acid, calcium, magnesium, phosphorus, potassium, several B vitamins and zinc. 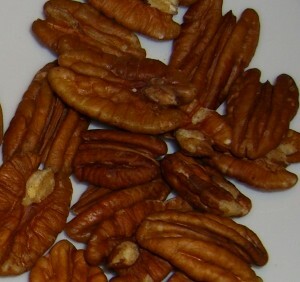 They have a rich buttery flavor and are the star ingredient in a Pecan Pie. Pecan trees are used for the nuts, the wood and can live over three hundred years. They are also the state tree of Texas. What I like most about pecans is the taste. I keep a bag in my refrigerator and love this time of year when I can buy bags of them in the shells. I love to sit and crack nuts for a snack. It keeps me from eating too many. I like to use pecans in salads, my Just 4 Nut Butter My Way and Fall Truffles which I will share next week for our Gluten Free Dessert Progressive Dinner Party. I hope you have some great Pecan recipes to share with us. I’d love to see a gluten and dairy free pecan pie and glazed pecans. 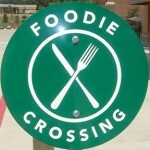 If this is your first time sharing a recipe please read the rules on our Friday Foodie Fix page. I can’t wait to see your recipes!!!! Next week’s Secret Ingredient is ………………………………Chocolate! I can't wait until next week! Chocolate is my favorite!! Kim- Chocolate is my favorite too. I hope to see tons of recipes. I love pecans and added some to a pilaf this week. There ought to be a lot of links next week! Linda- great idea for the pilaf. Thank you for sharing that recipe. I don't think the turtle treats can be made dairy free, but I'm thinking you'll come up with a plan. I've heard of folks making them using small chocolates vs Rolos so if you have a dairy-free option for those, you might make a version that's dairy free. 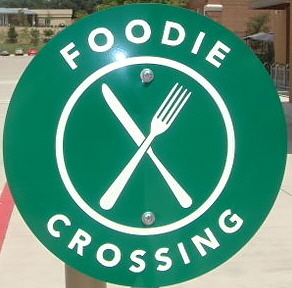 You will be inundated with chocolate recipes next week! Can't wait!! Shirley- I can't wait to make that pecan pie! Thank you for sharing that. My in-laws will thank you for this pie too! Jo- Thank you for sharing this. Looks great and I love the Thermamix machine you talk about. Very cool! I love pecans! We just made cheese balls with them as a coating. SO good. Stephanie- Yum, cheese balls sound great! I bet the pecans adds a great texture and taste. Great idea.